Another New York-based brand developer wants to be the starting bidder in the bankruptcy sale of Brookstone, the Merrimack-based gadget retailer that filed for Chapter 11 bankruptcy protection on Aug. 2. Bluestar Debtors is offering $40 million to be the stalking horse in the bankruptcy auction – $5 million more than the amount Authentic Brands offered earlier this week, according to a filing submitted to the bankruptcy court on Wednesday. It also asked for slightly less in fees. 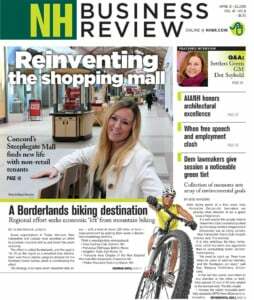 Neither company would be acquiring Brookstone’s 102 mall stores, including ones in the Pheasant Lane Mall in Nashua and an outlet store in Conway, which are currently being liquidated in a going-out-of-business sale, though both bidders would require it be called a “store closing sale” instead. That is because the Brookstone business that either would be buying would be ongoing. The winning bidder would acquire 37 airport stores, which would remain open, the Brookstone brand, its online retail business, a licensing agreement with a few U.S. chains and the more than 500 stores in China primarily owned by Brookstone’s parent company, Sanpower. But even $40 million is far short of covering the company’s secured debt, which totals $82 million, though nearly half of that debt is owed to Sanpower, which is also Brookstone’s largest supplier. The bankruptcy trustee submitted a motion indicating that it plans to challenge that debt, arguing, among other things, that Sanpower, as the company’s owner, knew that Brookstone “had no viable source of funds for potential repayment and were clearly insolvent” at the time of making secured loans. It added that the loans looked more like an “equity investment” – something that would usually be last, rather than first, in line in getting paid off under bankruptcy law. Brookstone estimates that it also has more than $120 million in unsecured claims, with $46.6 million of that trade debt owed to Sanpower. Like Authentic Brands, Bluestar would be entitled to a “breakup” fee of $900,000 should another company acquire Brookstone, but it would be charging $300,000 in expenses, as opposed to Authentic’s $500,000, and Bluestar would charge $100,000 in bid protections, rather than $250,000. Bluestar got into the brand business in 2006, four years before Authentic, and estimates that its brands’ retail sales exceed $2.5 billion. It currently has 200 licenses, including Bebe, Tahari, Limited Too and Yak Pak. The deadline for the stalking horse proposal is Thursday, but actually bidding for the company won’t be until Sept. 24. Brookstone plans close the sale on the remaining company by Sept. 30. How the bankruptcy is affecting the company’s Merrimack headquarters is unclear. Brookstone used to have 200 people working there, but a company spokesperson said the number is now 95. The spokesperson did not say whether the decrease was due to a gradual reduction or due to recent layoffs. The spokesperson also would not say whether there will be any layoffs in the future. Brookstone said at the time of its bankruptcy filing that it employed 1,180 people – 230 of them salaried, with the rest being hourly workers, most of whom worked at the stores. It’s unclear how many of the 230 salaried employees were working in Merrimack at the time.